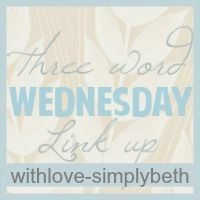 I came across Beth’s three word Wednesday idea over here on her blog, so I thought I’d give it a try. Thursday: I had 3 meetings at work, my husband had a deposition in court (he is a police officer), my 3 high school aged children all had open house on the same night (2 different schools). My husband got off work at 6 and picked up my stepson from his after school driver’s ed class and went to his open house. I got off work at 4:30, went to my daughter’s game (she is a cheerleader) and received the handoff of my 2 younger children from my mom. I then went to my daughter’s open house after the game. We ate drive-thru and got home about 9pm. Friday: I had only 1 meeting and my husband was off of work. He checked out my daughter from school at 12:30 and brought her home to watch our younger two kids. 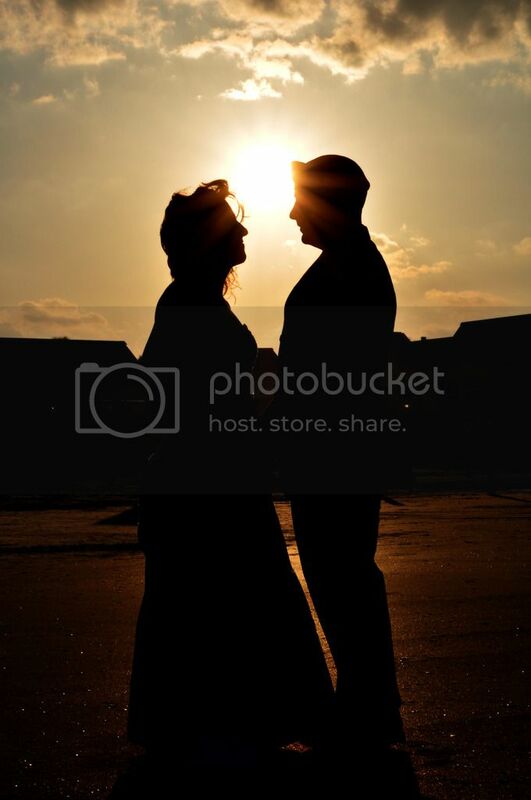 I left work at 12:45 after checking out my stepson and picked up a girl from our church youth group. We raced home, changed clothes, and raced back to our church to drive one of the church vans to Orlando. My husband and I chaperoned our youth group going to Night of Joy at Disney World. We left the church at 2:00, drove in blinding rain to Orlando, and proceeded to have an AMAZING night praising and worshipping God while hanging out with our little group of 5 teenagers. We dropped off all the kids and got home around 4:30AM. Saturday: We slept in until about noon. My mother-in-law came over and picked up the two younger kids to go swimming at her house. My husband and I started sorting through all of our hang-up clothes that were piled in the bathtub (we just bought a bank-owned house and the master bedroom closet was completely ripped out) because the bathtub faucet was leaking. Aroung 3:45pm, we wrapped up and went to SAM’s before heading to my mother-in-law’s house for dinner. After dinner, we went back to SAM’s and picked up two closet organizer units. We got home and put together those units until about 1:00AM. Sunday: We went to church and got home around 12:30pm (we don’t do the early service 🙂 ). My parents came over at 1:00 for kick-off of the Bills vs Bears game. We are HUGE Bills fans, and my parents are HUGE Bears fans. For those that don’t know, BILLS WON!! So it was a great game for us! After they left, we cleaned up the kitchen from wings and pizza. Oh and during the game my daughter had a friend come over to work on a school project. We got to bed around 9pm that night. Monday: Everybody went to work and school. I got off work at 4:30, picked up my youngest from my parents’ house, picked up my daughter from school and went to Wal-Mart. We got stuff to make for dinner. Now understand that I HATE cooking, but I had found a recipe for sweet and sour chicken from my friend on her blog here. My daughter and I got to work and had it almost all the way in the oven when I had to leave to take my stepson to his Police Explorer’s meeting at 6pm. My husband got off work at 6 and we had dinner. He left at 8pm to go pick up stepson and that wrapped up our day.